Community activists and some local business leaders are pushing back against the planned $6 billion Lincoln Yards development. 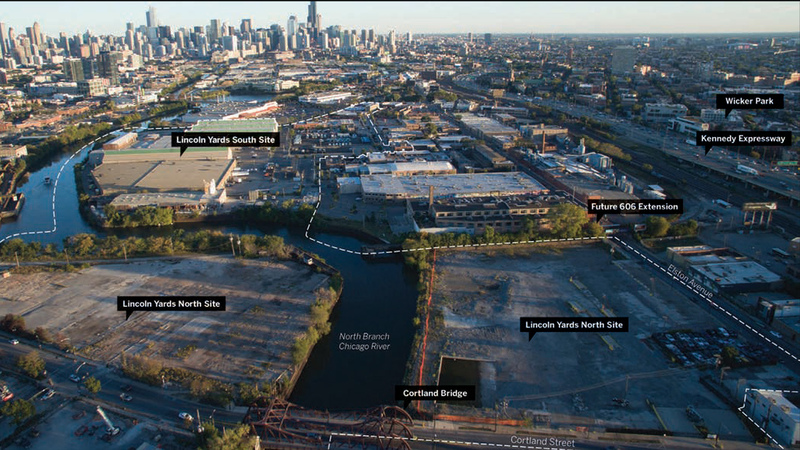 A master plan for the former Finkl Steel site was unveiled Saturday – just five days before a scheduled vote before the city’s Plan Commission. Opponents, including the nonprofit group Friends of the Parks, have called for any Plan Commission vote on the proposal to be delayed. Document: Review the master plan Sterling Bay divides the grounds into two general areas – Lincoln Yards North and South – and five “character zones” within those areas, promising each will contain vibrant commercial corridors, walkable and public space and mixed-use development. Publicly accessible riverwalk space is also part of the plan. Developer Sterling Bay said it has listened to community concerns and revised its plans accordingly. One element of the original plan that drew community complaints and has now been axed: a 20,000-seat soccer stadium. But the plan still includes a number of high-rise residential and office buildings, the highest of which will reach 650 feet, dwarfing the surrounding low-rise neighborhoods of Bucktown and Lincoln Park. It also could benefit – to the tune of $800 million – from a tax increment financing district in the area proposed by Mayor Rahm Emanuel that would likely be used to pay for infrastructure upgrades. Community activists and local business leaders say there had not been enough disclosure from Sterling Bay about the new proposal. Robert Gomez, owner of Subterranean and Beat Kitchen, fears that new music venues included in the plan could put existing music spots like his out of business. “They are providing information when they are forced to, and when information does come out it is extremely vague,” said Gomez, who co-chairs a new organization called the Chicago Independent Venue League that represents independent music venues in the area. He thinks the process of approving the development is moving too quickly and the current plans could harm existing music spots. Gomez said that he and many others do not think a multibillion-dollar development like Lincoln Yards should be rushed through in the waning days of the Emanuel administration. Gomez is both surprised and disappointed that Emanuel and Hopkins both appear to be in a hurry to get this deal inked as soon as possible.